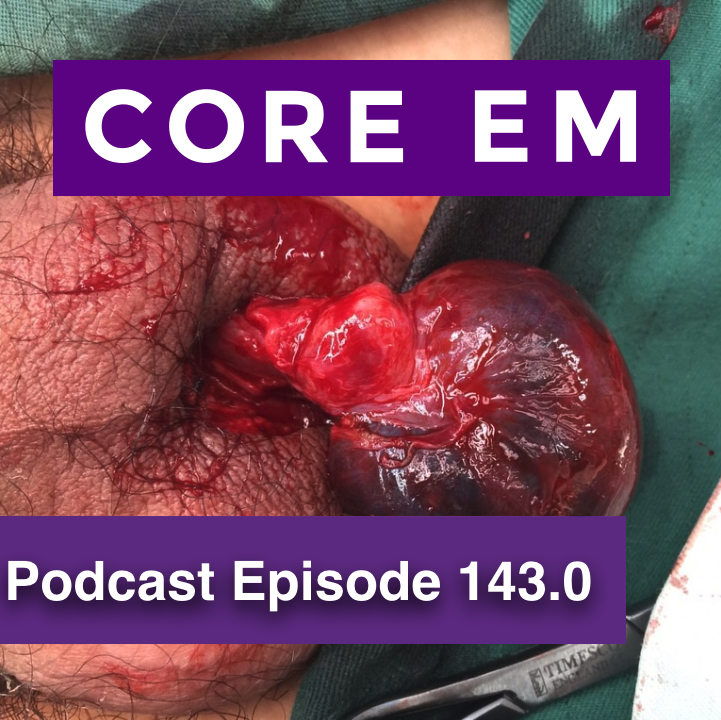 This week we review the presentation, examination and diagnosis of testicular torsion. Testicular torsion is a surgical emergency that requires immediate urologic consultation to increase the rate of tissue salvage. Ben-Israel T et al. Clinical predictors for testicular torsion as seen in the pediatric ED. Am J Emerg Med 2010; 28:786-789. Ban KM, Easter JS: Selected Urologic Problems; in Marx JA, Hockberger RS, Walls RM, et al (eds): Rosen’s Emergency Medicine: Concepts and Clinical Practice, ed 8. St. Louis, Mosby, Inc., 2014, (Ch) 99: p 1326-1356.